The TVS NTorq 125 is the most powerful and technologically-equipped scooter from TVS Motor Company yet. With the new scooter, TVS has also introduced the SmartXConnect, a Bluetooth-enabled connected technology system that comes with a mobile app. 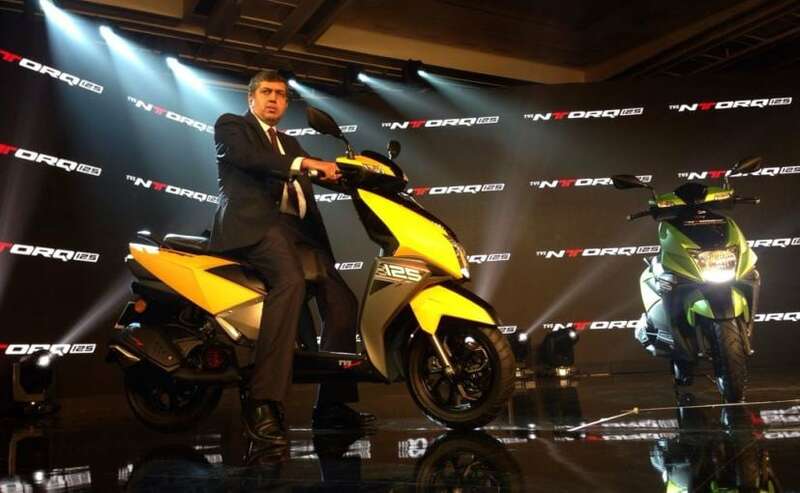 TVS Motor Company today launched its all-new flagship scooter in India, the TVS NTorq 125. Priced at ₹ 58,750 (ex-showroom, Delhi), the new TVS scooter is based on the NTorq concept scooter that was unveiled back at the Auto Expo 2016. Targeted towards what TVS calls the Generation Z, essentially the younger audience in the age group of 18-24, the new TVS NTorq 125 is also quite technologically sound, apart from being stylish, and exciting. With the new scooter, TVS has also introduced the SmartXonnect, a Bluetooth-enabled connected technology system that can be accessed by the NTorq mobile application for android phones, and it's clearly something beyond from what we had expected. 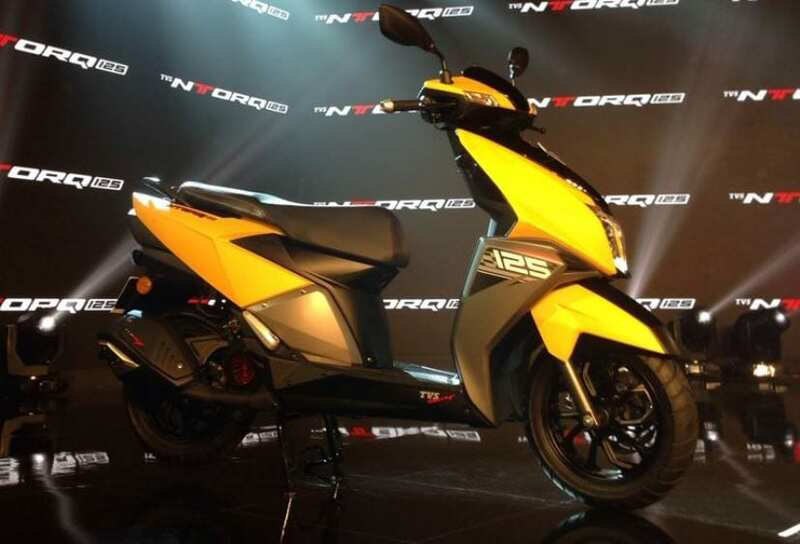 Powering the new TVS NTorq is a new CVTi-REVV 124.79 cc single-cylinder, 4-stroke, 3-valve, air-cooled SOHC engine that churns out about 9.3 bhp at 7,500 rpm and develops a peak torque of 10.5 Nm. TVS says that the additional valve accentuates the performance of the engine which offers excellent acceleration, with a top-speed of 95 kmph. The motor comes mated to an automatic transmission and is the most powerful offering in TVS' scooter line up. On the technology front, the new TVS NTorq 125 gets a touch of TVS' racing pedigree and offers some nifty features. 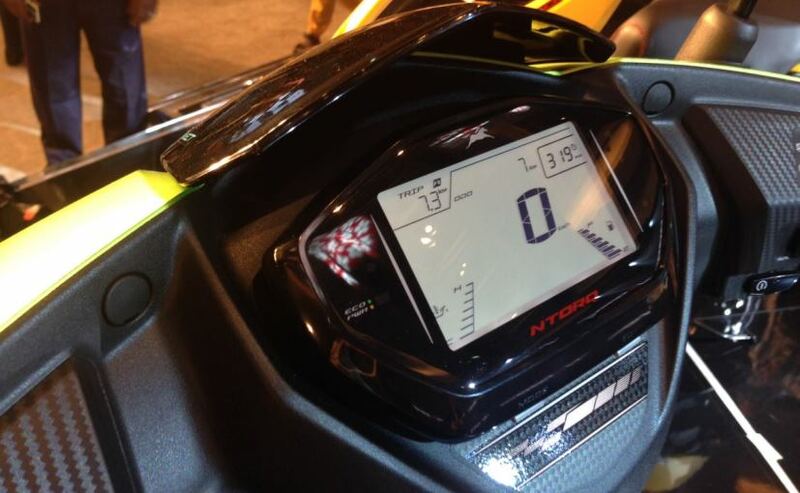 As mentioned earlier, the new TVS NTorq 125 comes with the SmartXonnect technology that includes several first-in-class features like the fully digital instrument cluster that comes with 55 features. Among the top offerings, the NTorq 125 comes with navigation assist, top-speed recorder, in-built lap-timer, service reminder, trip metre, engine oil temperature and multi-ride statistic modes such as street and sport. As the scooter can also be connected to your phone it also shows things like phone battery strength display, last parked location assist, and more. Visually, the TVS NTorq 125 is said to take design cues from a stealth aircraft and comes with a sharp, bold and stylish design. 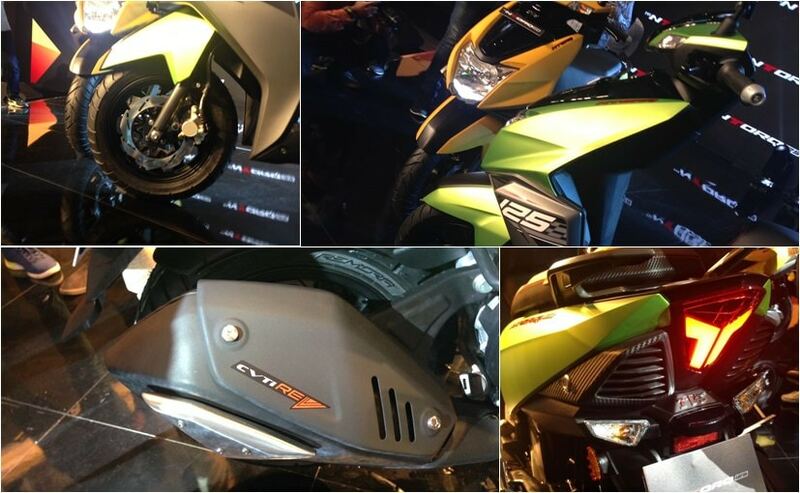 It is offered in four colour options with dual tone treatment and TVS Racing badging. The scooter comes with a stylish headlamp cluster, LED taillamp and diamond-cut alloy wheels among other styling additions. The NTorq 125 also comes with an engine kill switch, petal disc brake for the front wheel and more. At ₹ 58,790, the TVS NTorq 125 surely looks like the most modern and equipped 125 cc scooters in India. It's now set to rival the likes of Honda Activa 125, Suzuki Access a125 and the upcoming Aprilia 125, which is set to be launched at the Auto Expo 2018.